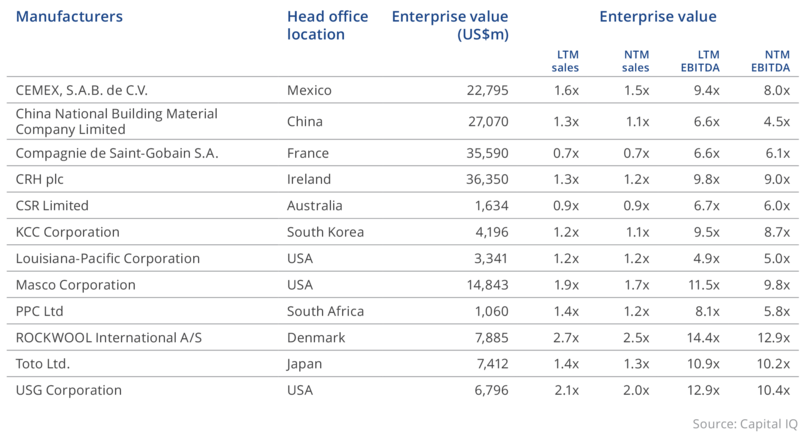 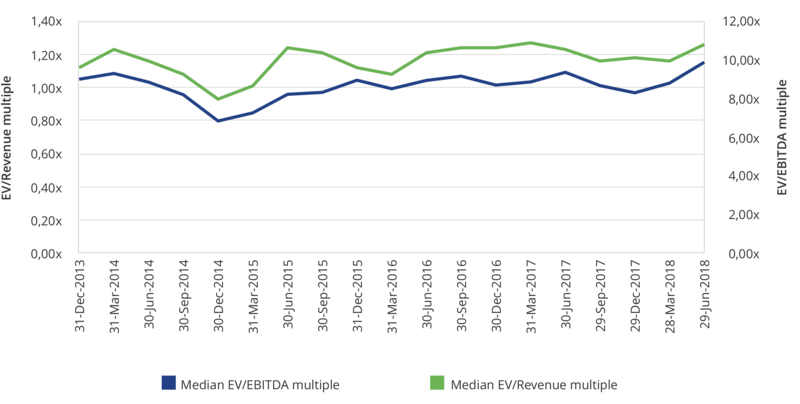 "As shown in the above graphs, valuations of the selected building materials manufacturing companies globally have fluctuated over the past five years. 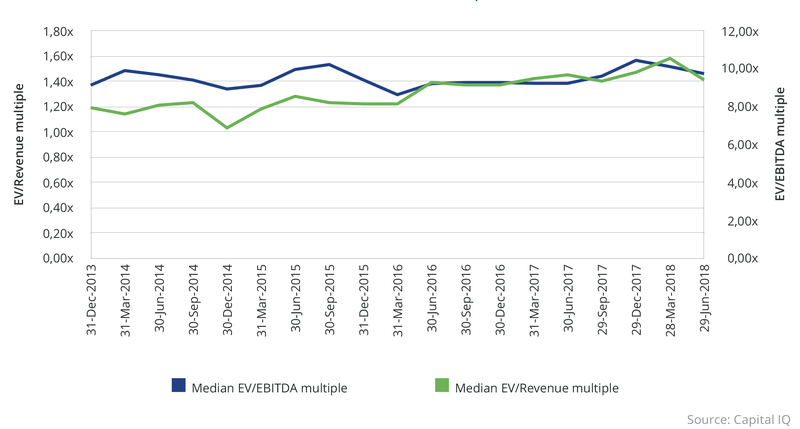 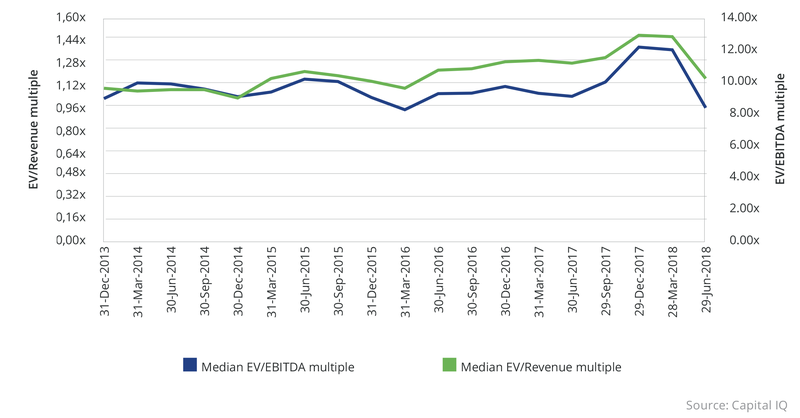 The median EV/Revenue multiple over the period is 1.3 times last twelve months revenue, with EV/EBITDA multiples over this period being 9.5 times last twelve months EBITDA. 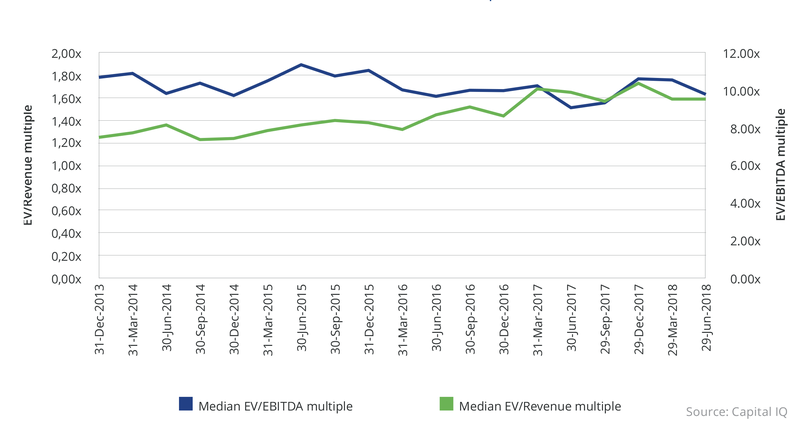 Private companies are typically valued at a discount to larger public companies depending on the sector growth and market size. 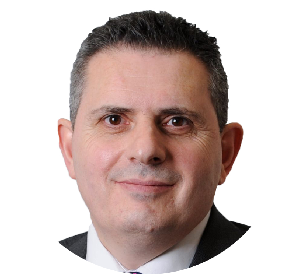 Oaklins, with its ability to bring international buyers to help drive a competitive process, can help companies achieve a premium value on exit."